Henry Curry Wood was born in Tanfield district in 1852, the second son of Joseph Curry Wood, a coal miner, and his wife Ann. Henry, his four brothers and two sisters attended Hobson School and, on leaving, became a grocer's apprentice. 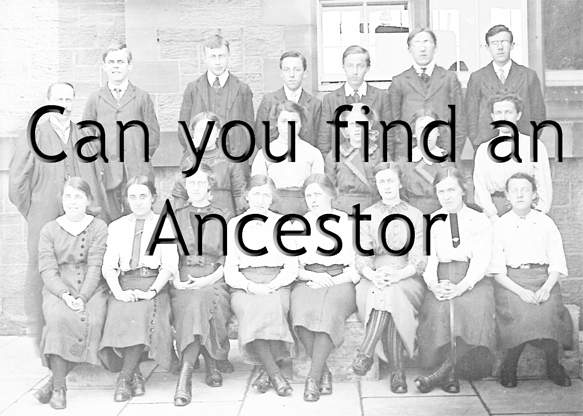 In 1876, he married Elizabeth Charlton and they had six children. Perhaps his keen interest in education was due to the fact that Henrietta and George became teachers and Ethel was a headmistress. He was a member of the School Board and this group of men had always dreamed of opening a secondary school in the area. By 1885, he was appointed Chairman of Tanfield Urban District Council and was a JP. In 1891, he became the first manager of Burnopfield Co-operative Society and, in 1902, the family moved into the prestigious 11-roomed manager's house at Sheep Hill, Burnopfield. In 1892, he was elected to Durham County Council and subsequently became an Alderman. 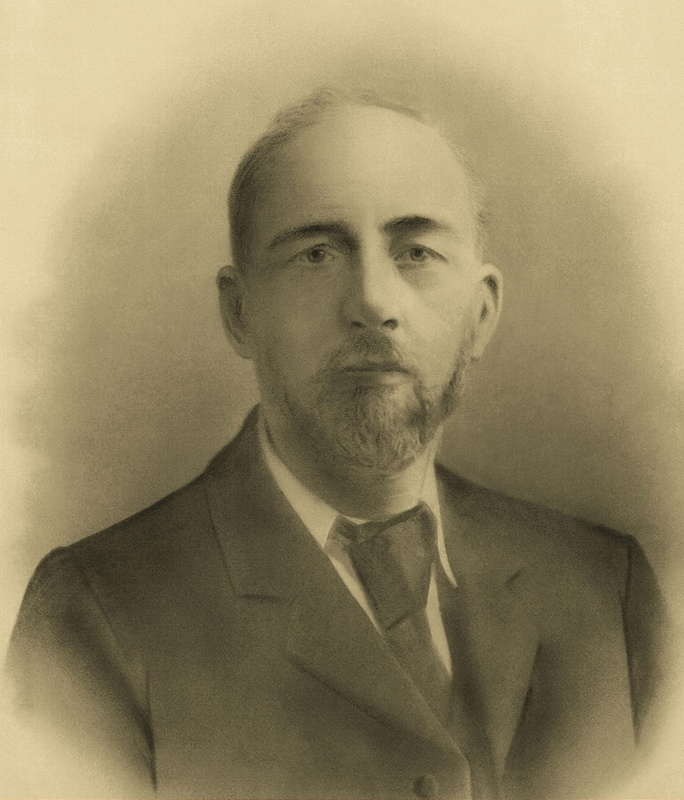 In 1902, Henry was elected Chairman of Durham County Council (DCC) Education Committee and worked tirelessly to improve schools in the area. In 1904, his wife Ann died aged 50 and, the following year, he married Emma Errington, his secretary at the Co-op. By 1910, he was a member of the Industrial Schools' Committee, the Health Committee and on the Appeals' Tribunal under the Military Service Act. He was known to attend meetings regularly. On Wednesday 16th October 1912, in his capacity as Chairman of the D.C.C Education Committee, he formally opened the new Higher Elementary School and Pupil Teachers Centre at Tanfield Lea an important occasion attended by many local dignitaries. In his speech, Alderman Wood stated that being part of this event gave him great pleasure. He believed that children should have good teachers and be taught in well-designed buildings. The total cost of this new school, building and land, was £18,094 13s 2d. When Henry retired from his management post in Burnopfield, the family moved to Lakeside, Saltwell View, Gateshead. From 1914 onwards, Henry travelled daily to Meadowfield, Durham, to manage his son Wilfred's grocer's shop, as Wilfred had joined the services. In April 1916, Henry was unanimously appointed Vice Chairman of D.C.C. In this capacity, he attended a meeting on the 31st January 1917. It was decided that, as Chair of the Education Committee, he should meet with a group of teachers to discuss the problem of war bonds. Councillors believed that Henry's wide knowledge of the subject would enable them find a solution to this problem. However, on Monday 5th February, Henry and his wife Emma set off early to catch the 7:43am train to Durham, intending to manage the shop. On reaching Gateshead Station, he suddenly took ill. He was carried into the waiting room and a doctor was sent for, but he passed away within minutes. The tragic sudden death of Alderman H.C. Wood from a heart attack was widely reported in the press and his funeral service at Burnopfield United Methodist Church was attended by a vast number of local dignitaries and even "a posse of policemen". The service was conducted by five clergymen and six Co-op employees were pallbearers. His final resting place was in St James' Churchyard, Burnopfield. 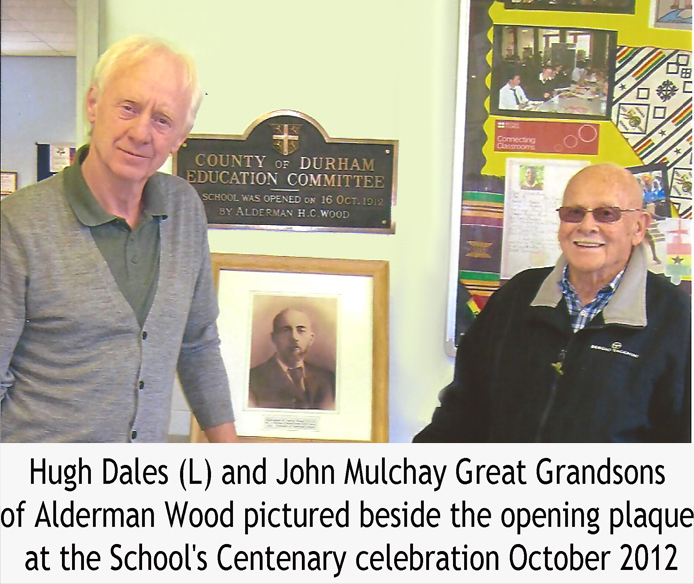 According to pupils who attended school in 1919, it was in that year that the school was renamed 'The Alderman Wood School' in his honour and it was awarded grammar school status two years later. From humble beginnings, Alderman H.C. Wood went on to achieve great things.